Intel’s Haswell-E platform is currently the top choice among those looking to build the fastest desktop possible. It’s a popular pick for high-end, multi-card gaming but of course, not everyone is intent on loading an X99 board with as many video cards as possible. Maybe compactness is your thing. 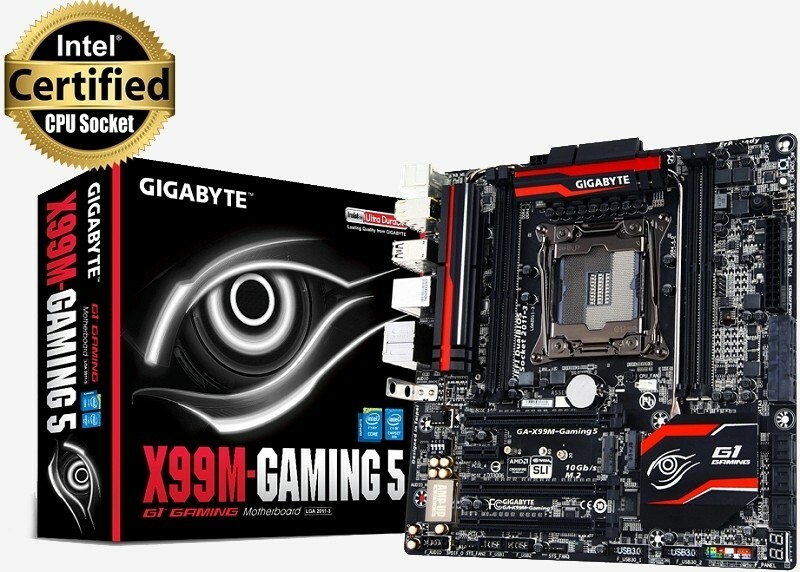 Those interested in shoving an X99-based system in a small-form-factor chassis will soon have another option to consider in the Gigabyte X99M-Gaming 5 motherboard. As The Tech Report points out, the X99M-Gaming 5 features two M.2 slots. One is connected to dual storage specific lanes in the chipset while the other has an x1 link – great for mini wireless cards. If wired networking is your thing, the Killer NIC should do just fine and there’s a high-end Realtek solution for audio if you aren’t planning to add a dedicated sound card. Naturally, Gigabyte had to make a few sacrifices to shrink the board down to size. For example, there are only four DIMM slots versus the usual eight found on standard ATX boards. What’s more, there are only four expansion slots (or two if you’re using dual-slot graphics cards). Gigabyte hasn’t put the board up for sale just yet but a quick check on Newegg reveals three similar X99 boards of the microATX variety priced between $230-250. It’s probably a safe bet to say Gigabyte’s solution will check in somewhere in that range.